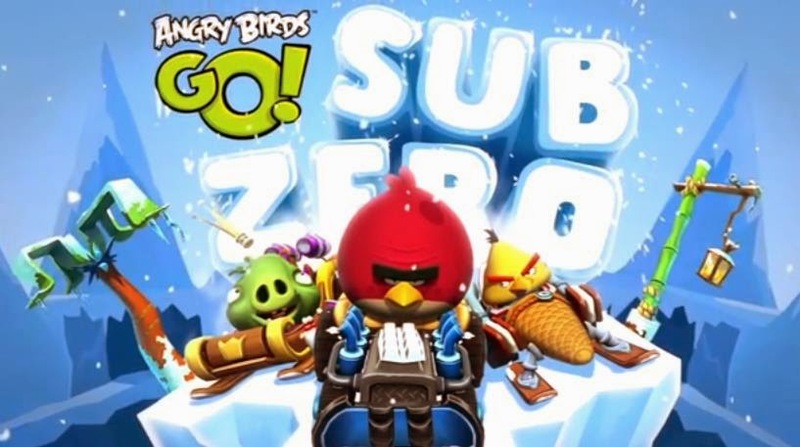 Angry Birds Go Sub Zero for Windows PC and Mac, Sub Zero is a new episode in Angry Birds Go Series where the Angry Birds challenge the evil pigs in a kart style racing game that is available to download for Android, iOS and Windows Phone devices. The new Sub Zero update comes after Rovio had initially released Angry Birds Epic a RPG game featuring intense battles between the Birds and Pigs in different worlds surrounded by beautiful mountains and islands. The new Angry Birds go sub zero episode brings more powerful karts to customize and race with, The update brings many new karts like the polar ice cap, tracked trekker, snow shoo and Mr Plow available at to buy at various prices and now you can buy some items through the in-game currency. The sub zero episode also features extreme challenges, winter themed gameplay that includes snowy tracks and snow karts, Rovio is also set to launch a new range of Angry Birds toys soon. Since Sub Zero is just a update to the already popular Angry birds go game which was released recently, You can follow our previous guide on how to download Angry Birds Go for PC and get the latest update. You can also download the updated Angry Birds Go Sub Zero APK and open it using the Bluestacks app player.